Now that it’s December, students across the country are looking forward to winter break. College and university students are already preparing for final semester exams, and they cannot wait until each test or lab is over, so that they can enjoy some downtime with friends and family during the holidays. At LearningRx, we know that students of all ages have worked hard this semester, and have earned a well-deserved break from the classroom. 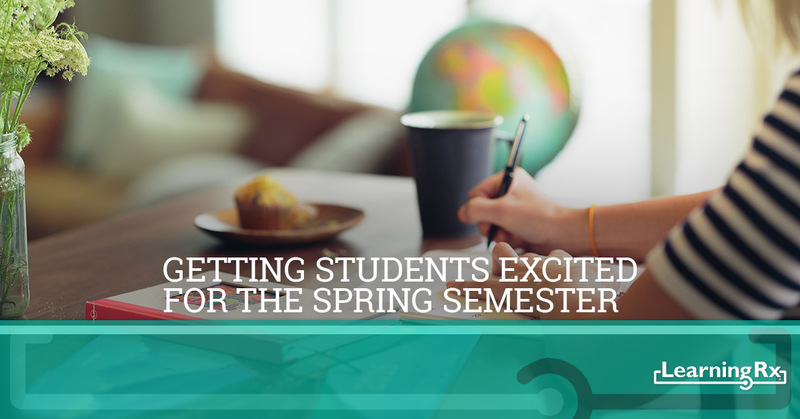 However, if you’re a teacher or professor, how do you get students excited for the spring semester? If you’re going to have the same students next semester, then you can pique their interest for what’s coming without overwhelming them. If you have students who have been struggling during this semester, then our brain training programs could be a great way to help them get a boost before classes start again in January. When you’re a teacher who has the same students all year long, such as in elementary and middle school, then it can be a good idea to give an overview of the topics that you’ll be covering in the spring semester. Everything you covered during the fall and winter is intended to lead into the spring, so if you’re planning some lessons or experiments that you know will excite your students, then feel free to share those topics with them. Some of the students will forget about them over break, but there will be others who will think about them all break long, and come in ready to go once class is back in session. Nobody wants to be known as the teacher who gives homework for winter break, but that doesn’t mean that you can’t give some fun assignments for the two to three weeks away from school. If you’re an English teacher, then encourage your students to read a new book and write a one-page report on it. If you also teach writing, then have students keep a journal during break, jotting down what they did and where they went over break. For photography or art teachers, suggest that your pupils snap pictures or draw over break, in order to keep their skills sharp. There will be some students in your classroom who won’t be excited about the spring semester, no matter how many topics you share or fun assignments you give. They may have struggled during the first semester to keep up with their classmates, and they’re having trouble grasping the subject matter of your classroom. If this is the case, then brain training could be the key to unlocking confidence and excitement about learning. You don’t want it to seem like a punishment, so be sure to approach it with positivity, and speak with the student’s parents about the benefits of our programs. The student can start their one-on-one training during winter break, or they can wait until the new semester starts — whatever happens, they’ll hopefully feel much better about what they’re capable of accomplishing. If you’re interested in learning more about our curriculum, as well as how you can open your own LearningRx center, then please contact us today. We love meeting people who have a passion for education, and who want to help students unlock greater cognitive potential. 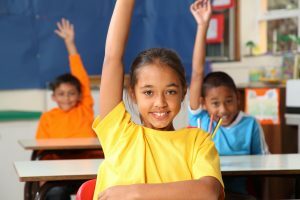 If you’re a teacher, then we hope this post has helped you think of some ideas of how you can get your students excited for the spring semester. You only get to teach this group of students for a few more months, and we know that you want to help them achieve great things both now and in the future.